No charge or obligation for the experience of our team of specialist consultants who will be happy to advise on the equipment and services most suited to your needs. Sales, rentals, leases or free on loan. Equipment from the world’s leading machine manufacturers. 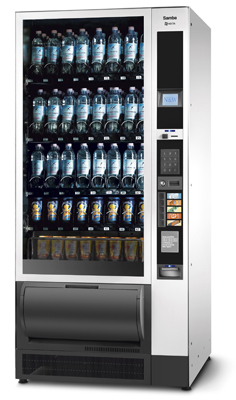 Hot drinks, Cold Drinks, Snacks, Food, Flavia, Water machines, Housing Units and our exclusive DRV units. Our service is tailored around your individual needs and requirements and all machines are stocked, filled and cleaned by our fully trained Operational staff. We also supply all the leading brands and introduce regular new product lines to ensure there is never menu fatigue. Our Food Service ranges from the supply of high quality sandwiches to the food vendor through to full menu including main meals. Our team of factory trained engineers normally attend within 4 hours of receipt of a call and carry most components ensuring minimum down time on any equipment. All our installations are carried out by our own team ensuring a smooth transition and all risk assessment and general H&S surveys are carried out prior to install. Our unique “Go Live” day of install brings the fun back into vending. We have prize draws, lucky cup promotions, discounted/free products as well as tasting sessions to ensure all customers are familiar with the new equipment and delighted with the quality. 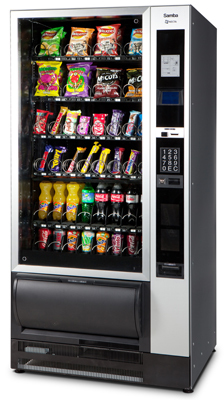 Ingredients for all types of vending machines including Flavia. Leading brands and Fair Trade products stocked as well as locally sourced products. Bottled and plumbed models serviced and supplied from a number of leading manufacturers.